Through this experience, I have met many inspirational people. I am so grateful for my teacher, Mrs. Baker, for allowing us to do the project on Topaz that has brought me here to this conference. I'm here at this conference for the JANM. I did a project about the daily life in the Topaz internment camp. It's been amazing to learn about Topaz and the awesome Japanese American culture. I came here with a project for the Youth Expo. I spent many hours working on this project. I learned so much about the Japanese Americans. It was an amazing experience. 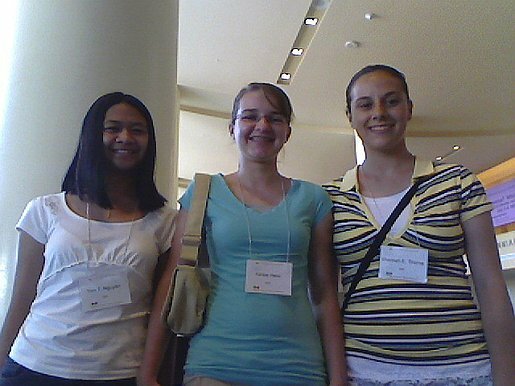 Yen Nguyen, Keilee Hess, and Shannah Thorne - "Whose America? Who's American?"